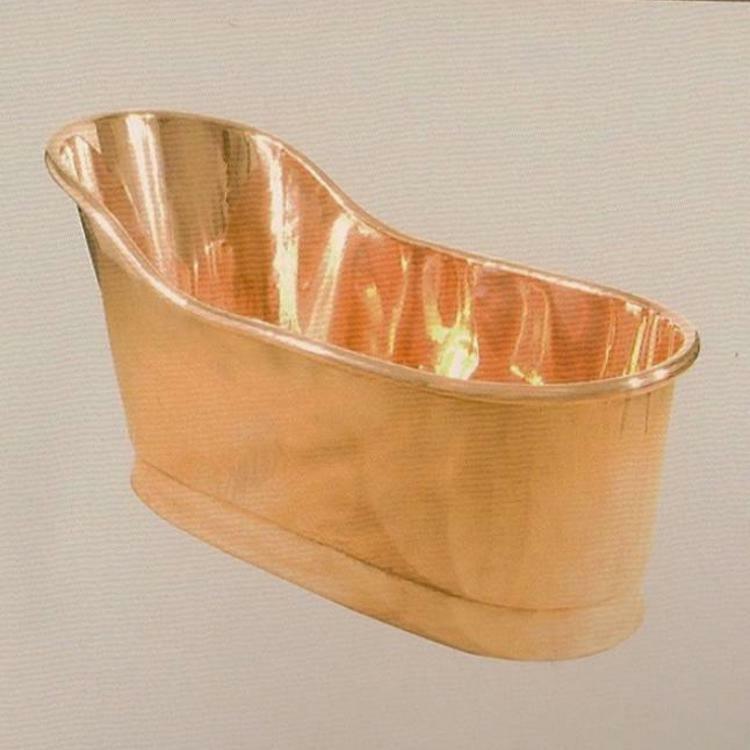 Copper bathtub, replica of an Empire model with a high back that came into fashion around 1860. 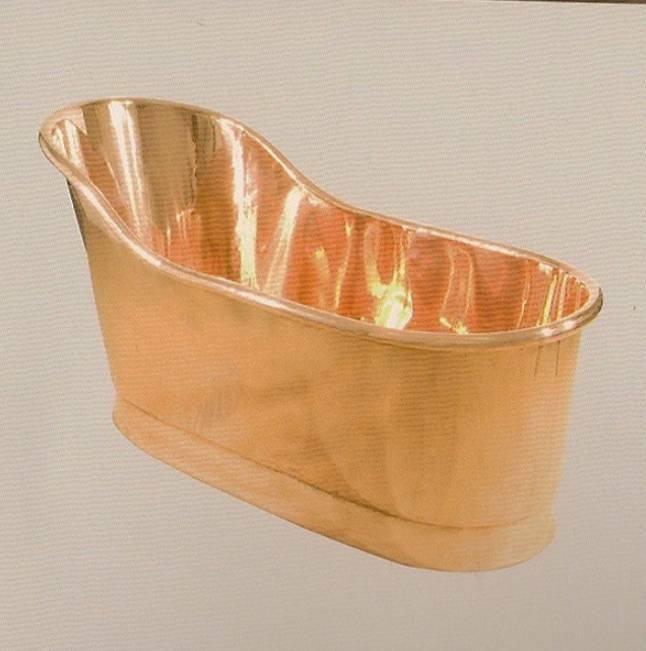 Copper bathtub, replica of an Empire model with a high back that came into fashion around 1860. The copper has been coated so there's no need for the old fashioned polishing. The length of the bath is 1.60 cm. This is a very comfortable size to sit in and also makes the bath suitable for the smaller bathroom. Both shape and material of this bath are very like the antique copper bathtubs. The exterior can be ordered in tin, copper or brass. For the finishing of the interior there are several options as well. This bathtub is not on stock and has to be ordered. Price on demand, depending on the chosen materials. Delivery period around four weeks.